The C17 S is the women's version of Brooks new Cambium range of saddles. To read the whole review, along with an interesting overview of the Brooks Cambium story, go to road.cc. 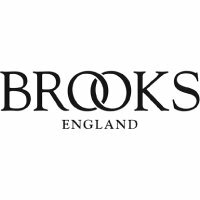 Brooks have been famed for manufacturing fine leather saddles in England since the 19th century. Brooks ability to flourish into the 21st century is testament to their ability to adapt: hence the Cambrian range of saddles that dispense with hide and replace it with a natural rubber / organic cotton canvas / structural textile top, designed to offer more immediate gratification than their traditional leather saddles. However, every Cambium retains a key Brooks feature: the saddle top is riveted to the saddle's rails to create a subtle light-sprung element of suspension. Brooks call this the 'hammock effect'. This innovation is as intrinsic to Brooks saddles' legendary comfort as the fine materials used to produce them. Natural rubber / organic cotton canvas / structural textile top. Brooks 'hammock effect' comfort without the breaking-in period. The Brooks C17 S Cambium Saddle is comfortable from the first ride. Waterproof top - you won't destroy this saddle if you leave it out in the rain. 265 mm long x 162 mm wide x 52 mm high. Weight: 405g - based upon weighing a Brooks C17 S Cambium Saddle at Bike Co-op HQ in March 2015.